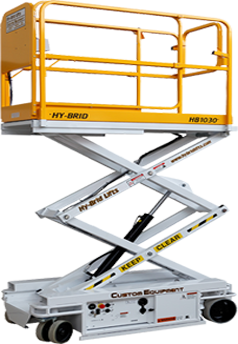 Scissor lifts are usually regarded as relatively safe. 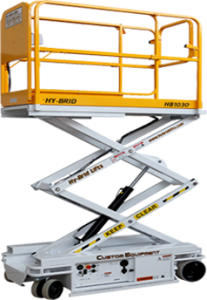 Not as high as boom lifts, not as fast as forklifts, usually used for indoor work – many factors give the false impression that scissor lifts are pretty much safe to use. Unfortunately for one North Carolina worker, the misconception was realized. On Monday, April 13, Hal Rue, a Department of Administration employee, was working at the State Archives building in downtown Raleigh. Soon after, disaster struck. Mr. Rue and a co-worker were attempting to access an outside light (proving that not all scissor lift work is done indoors) when the scissor lift toppled over, falling on him. It hasn’t been determined how high Mr. Rue had the aerial lift, what model was used, or whether the equipment was properly maintained and inspected. Authorities continued to conduct an investigation as to how the lift fell over. This accident will do doubt attract the attention of either federal or local North Carolina OSHA inspectors. A follow-up story said the equipment simply “malfunctioned,” but more details will surface as inspectors start to piece together what happened. A solemn statement form the NC Department of Administration followed in the wake of Mr. Rue’s death. “We are saddened to hear of Hal Rue’s death. He was a strong, dedicated and sincere man. Our deepest sympathies go out to his widow and family during this time. We ask folks to join us by keeping the Rue family in their thoughts and prayers,” said Secretary of Administration Bill Daughtridge. The importance of lift safety can never be ignored. Whether your company uses aerial lifts, scissor lifts or similar equipment, CertifyMeOnline.net features OSHA-compliant training for any worker who uses lifts. Aerial work platforms can be deadly, as this story shows. And while some freak accidents happen, many mishaps can be avoided with a sound & solid training plan in place. Instead of working with an expensive 3rd party solution or doing it yourself, put CMO’s expertise to work for you. We’ll handle everything – training sessions, credentials, recertification and much more. Call CMO today at (602) 277-0615, or swing by the Certify Me Online contact page. We’d love to help you today. Thanks again for visiting CMO! Our blog keeps you updated with aerial lift news, scissor lift stores and AWP analysis. Check back soon for more stories. This entry was posted in Aerial Lift Certification, Uncategorized on May 12, 2015 by admin.